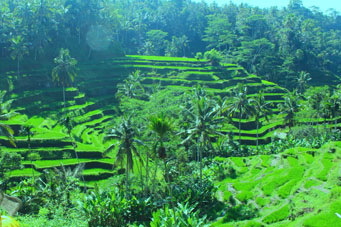 Beyond Ubud and far from the hustle and bustle of southern Bali, lies a village where rituals are observed to please the Gods, not tourists. It’s a place where the smiles and warmth of the people are genuine and the culture is authentic. Rice farmers work the land and life of the villagers is simple, yet fulfilling. 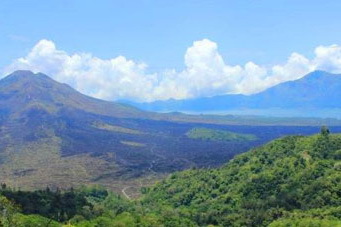 Kintamani is situated in the north of Bali and at the base of volcanic Mount Batur. From the village lava flows on the mountain are visible and refreshing Lake Batur is a short hike away. 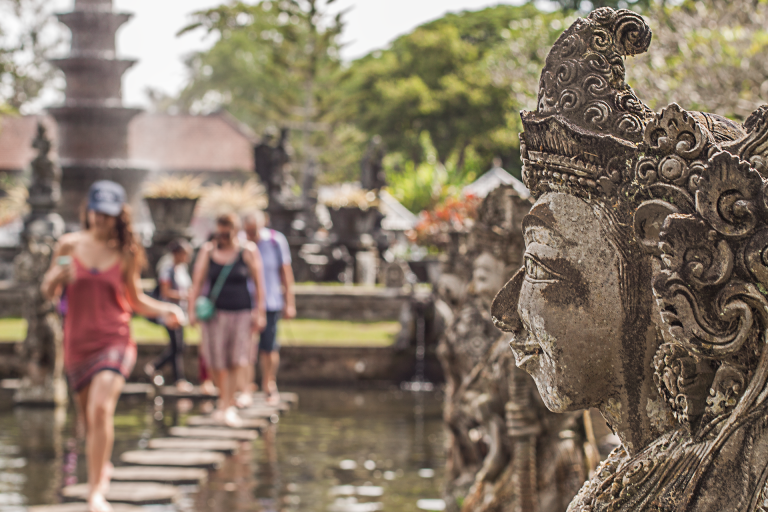 On this tour, experience the Elephant Cave at Goa Gajah, Gunung Kawi, the spectacular water temple at Tirta Empul, Besikah Temple, coffee plantations and more. Reserve a Kintamani tour with our guides and immerse yourself in the authentic culture and friendly people of this timeless community. This tour begins whenever you are ready. We’ll arrange a time that suites you and your group, but the earlier the start, the more you will see. 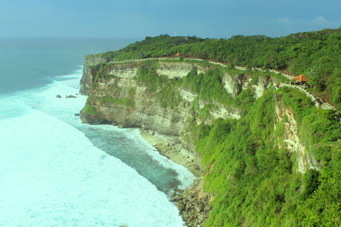 We advise starting early as Kintamani is located in the northern part of the island of Bali. Your friendly, English-speaking driver will pick you up at your hotel where you’ll begin the drive north. Please note that this is an unguided tour, but our drivers are very helpful and will assist you in anyway they can. They are there to answer any questions you have and will make suggestions based on your preferences. The driver will drop you off wherever you wish to go and will be waiting for you when you are finished to take you to the next destination. If you wish to have an English-speaking guide with you throughout the temple visits and other destinations, one will be provided for an additional US $25. Our drivers can suggest several options for lunch and beverages as well as dinner should you wish to eat before your return. At the end of the day, your driver will drop you off at the lobby of your hotel. US $50.00 per vehicle. Add US $25 for English-speaking guide. Because we do not know your preferences for this tour, entrance fees are not included in this package. We suggest you bring along extra cash for this purpose. Additionally, our vehicles hold from 1-5 passengers. If your group has more than this, we will need to reserve another vehicle, which will also require an additional charge. We will do everything we can to help keep your charges manageable. Thank you for your understanding. Should you wish to travel solo, there will be a 50% addition to the fee. Thank you for your understanding. Cancellations are always unfortunate, but late cancellations hurt our business because we cannot recoup lost revenue form tours we would otherwise have had. Therefore, we must charge 100% cancellation fee if you cancel the day of or the day before your tour. We apologize for any inconvenience this may cause. A towel and a spare set of dry clothes (Tirta Empul is a water temple and you may get wet). There are plenty of curios and souvenir shops on this tour, but there is little time for other shopping; however, your driver can make exceptions and detours if necessary. It is unlikely that you will have an opportunity for a healing session on this tour. Please contact us before the day of your tour to see if we can schedule a healing for you. No. This tour is for people who are not familiar with the area and want a guide to help them avoid crowds, traffic and to find the best ways to navigate these locations. Our guides also provide history and cultural information during your visit. Yes. It could turn into a long day so be sure you prepare your child appropriately. Because the temples are very old, please supervise your child at all times to keep them safe from injury. 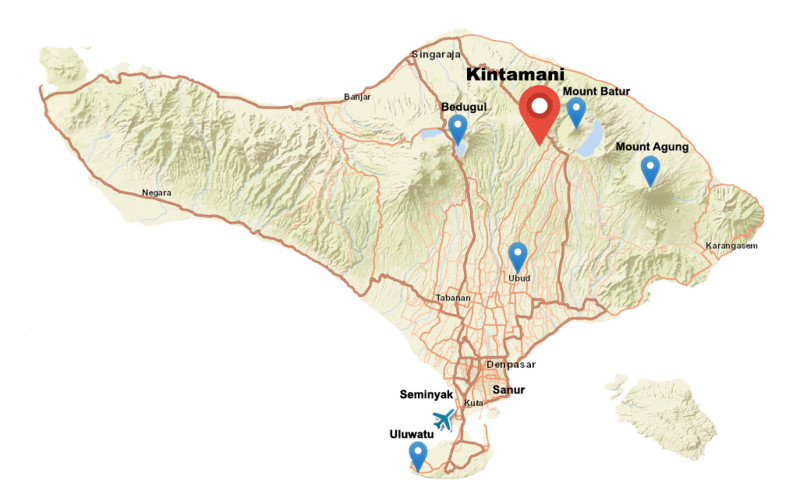 There is likely not to be as many tourists as other tours, but Kintamani has become a very popular destination for Indonesian and western travelers. As experienced guides, we will do everything possible to help you navigate the crowds and get to these destinations at the least crowded times.